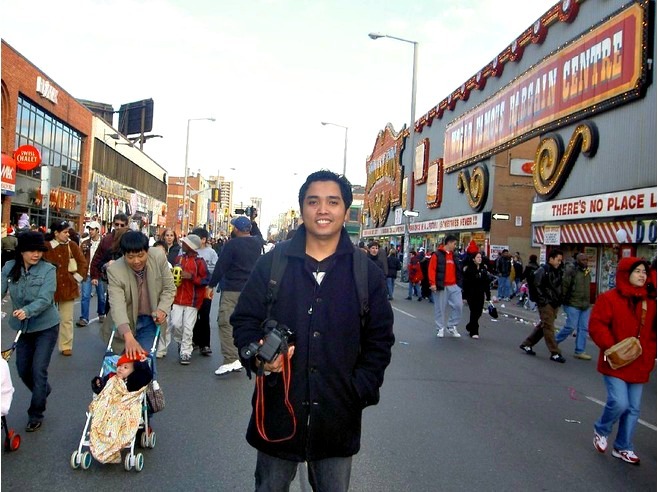 www.fromatravellersdesk.com: HONEST ED's ~ A Toronto Landmark No More! Don't get me wrong. I still believe that Honest Ed's is one of the best stores in town. It has a lot to offer, mostly at very attractive prices. People are used to stroll in this store finding good deals. I suppose the store must have a long list of loyal customers. You will see them in a queue especially during Christmas season to pick their favourite turkey and fruitcake. It is indeed a yearly event that patrons will surely miss. Why? Because it's free! It is a tradition that no other establishment can surpass. It is surprising, if not shocking. Honest Ed's has been standing there for more than half a century. It is, in fact, celebrating its 65th anniversary this month. Perhaps, more anniversaries before the curtain closed. This icon has been famous, not only because of its low prices, but also because of its dazzling signs inside and out. Go to the store and you will be spending time reading signages like, "There's no place like this place, Anyplace!," "Don't Just Stand There, Buy Something", "Only the floors are crooked" or Go inside and get lost!,"Honest Ed is dangerous ~ beware of falling prices." Am not sure if customers can forget these funny and strong words that you can find only at Honest Ed's. News report indicated that Honest Ed's is up for sale. It's out for grab for $100 million. What I heard is that a condominium complex will be built and the sale will include the Mirvish Village which is also owned by Honest Ed's family. It looks like the loyalists cannot just stand and wait for its closure. They just cannot accept it. They quickly petition pleading for help to ensure condos will not take its place. 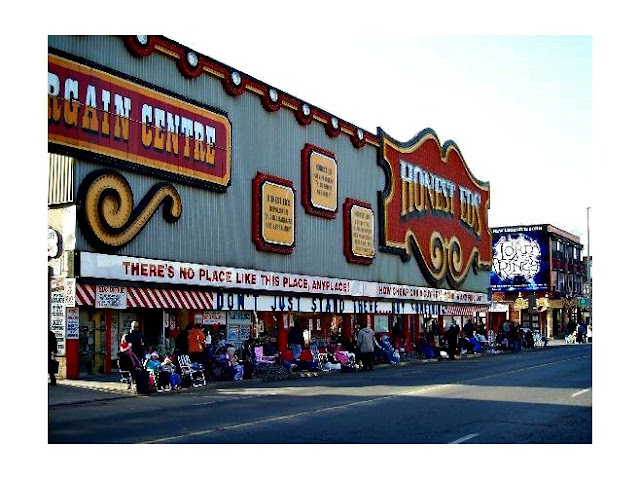 They all want to "Save Honest Ed's". Honestly, I can clearly understand its customers. They cannot just let Honest Ed's go because its been part of their daily life for at least three generations. So, let's go to Honest Ed's before its curtain come to a close.